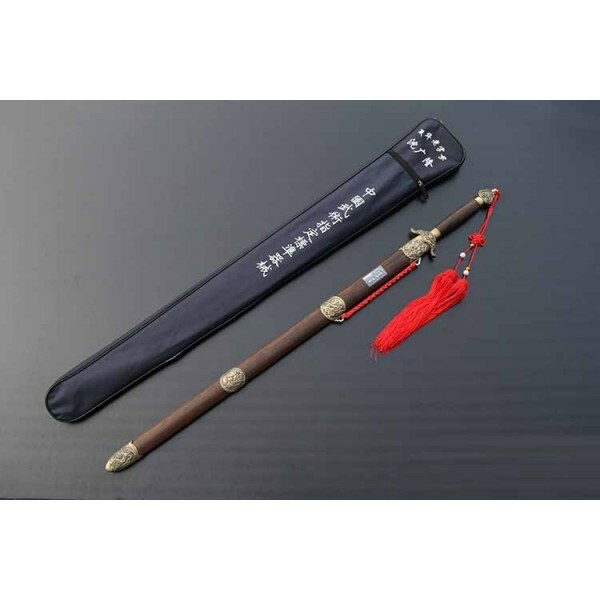 Spring Steel(Ren) Sword with Carrying Case - Bok Lei Po Trading Inc.
Great sword for all styles. 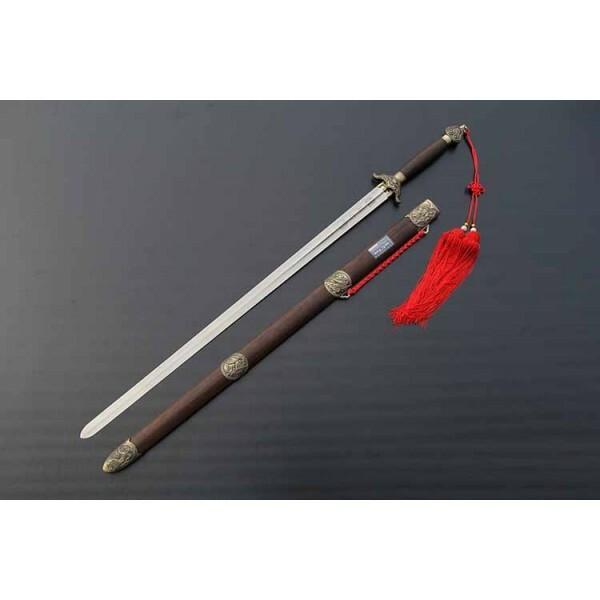 Spring Steel Straight Sword(Ren Sword)--This sword is specialzing in it's sizes. 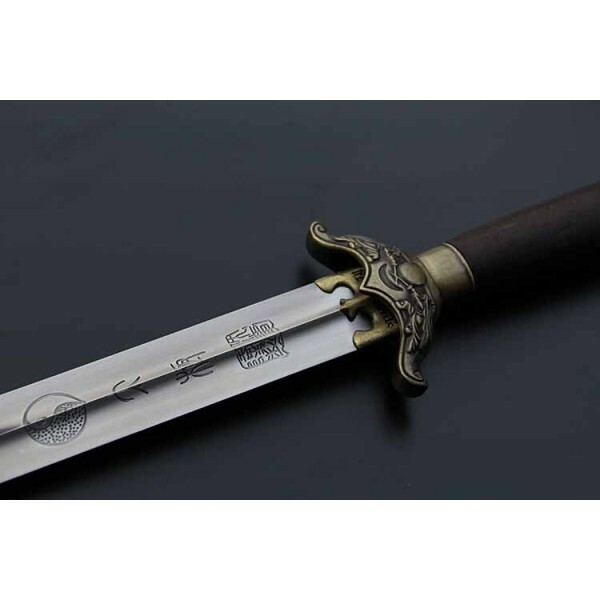 It's handle and blade are longer than regular straight sword. 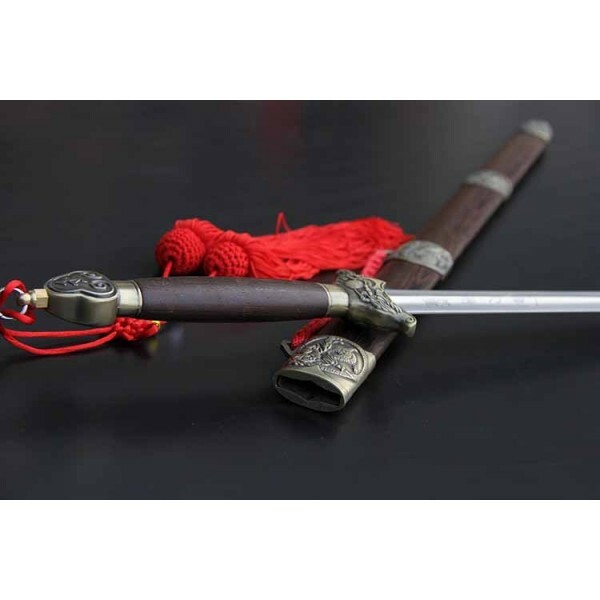 The blade is made of middle weight steel-spring steel, it is not too heavy like COMBAT STEEL, and is not to light like WUSHU(FLEXALBE) STEEL. It's is a well balance sword. The balancing point is about 2 inches form the hand guard. Scabbard and handle are made of high quality wood. red tasselle comes with it. 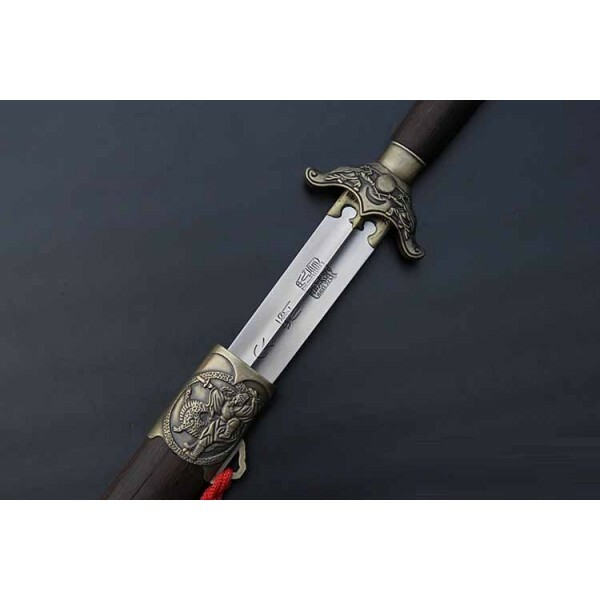 It is made by the most famous sword maker-SHENG GUAN LONG in Long Quan, China. There are 8 sizes for you to choose the size that fits you perfect. A Blue sword carrying case comes with it. #0-blade only 26", handle only 6"
#1-blade only 27.5", handle only 6"
#2-blade only 28", handle only 6"
#3-blade only 29", handle only 6"
#4-blade only 30", handle only 6"
#5-blade only 30.5", handle only 6.5"
#6-blade only 31.5", handle only 6.5"
#7-blade only 33", handle only 7"
#8-blade only 34.5", handle only 7"